Dec. 11th: Good News Pupdate! The first bit of Good News Today . . . .
We have all made it to the coveted, last day of the normal work week. 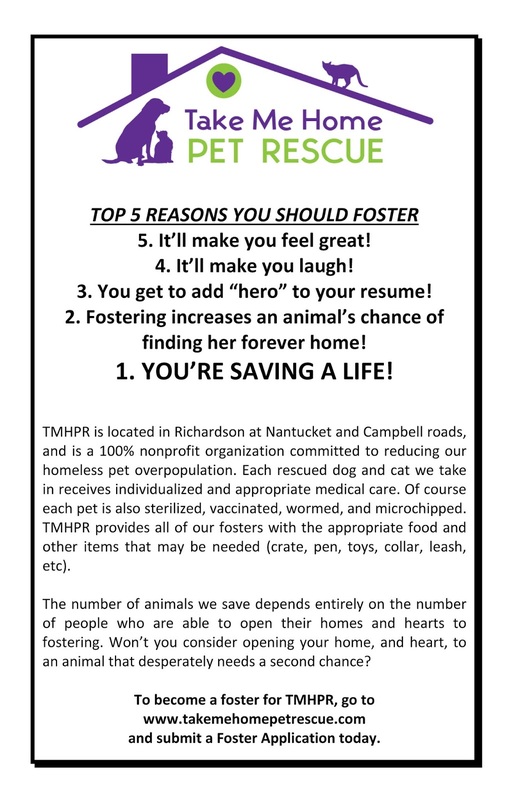 But, for those who volunteer at Take Me Home Pet Rescue (TMHPR) we are now gearing up for a weekend full of opportunities to share with the public about the wonderful dogs and cats available through our rescue organization. How about we share some of the good going on in our world . 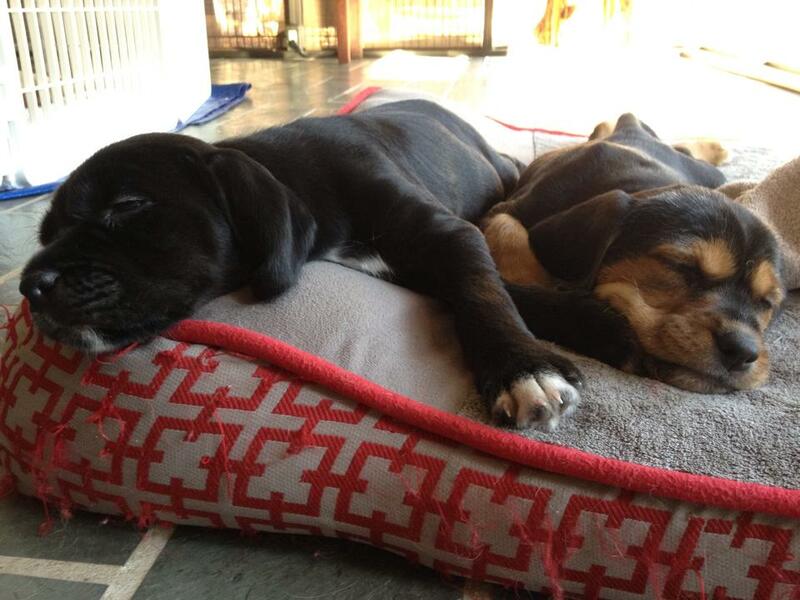 . .
Riggs & Roo are settling into their fabulous Foster Home! This snooze was captured after a puppy play session in the backyard. Many of our fosters find that sun rooms are a great location for little puppies. Sunshine, quick access to the backyard and tile floor are all great options for this age! 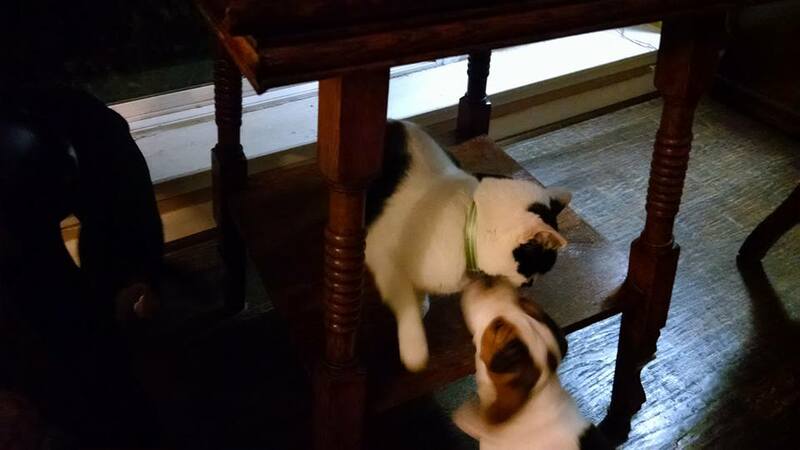 Here you see Ripley loving on a feline friend in her foster home. It is a bonus when our puppies can be introduced to cats so early in life. This means we can add cat-friendly to their bio for adoption. All five of Emilia’s babies AND Emilia have found Foster Homes. Now, we have six more puppies arriving on Sunday. We are still in need for two foster homes for this next bunch of cuteness. I mean who wouldn’t want puppy breath for the holidays! 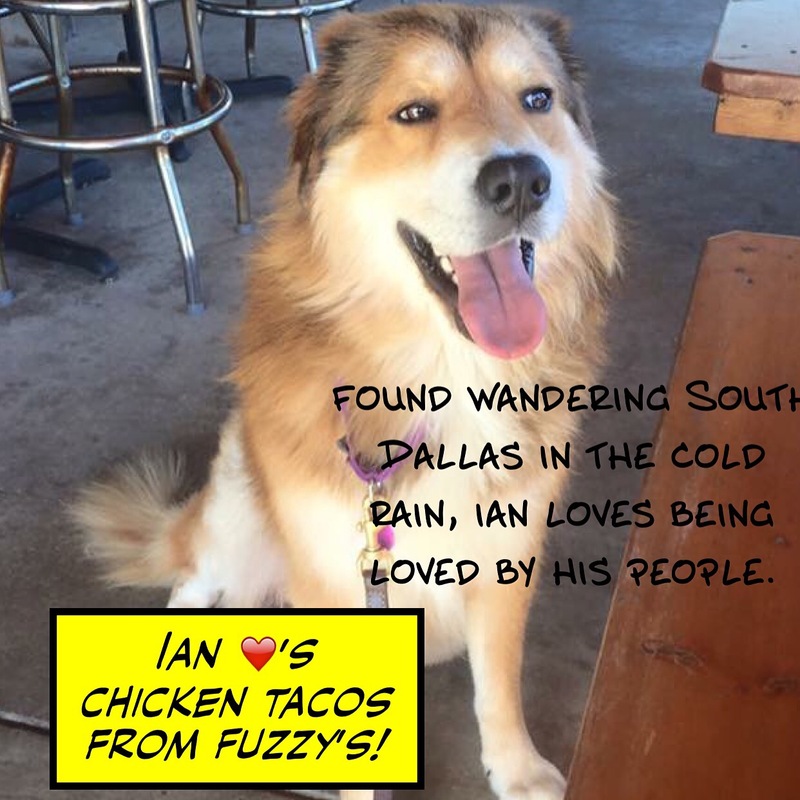 Thought about fostering, but need to know more . . . .
On to more Good News!! This is Alum Mattie and her buddy, Eli. Mattie works with so many fosters in her home, but yesterday she was a mentor. “getting well” before he could go to his Foster Home. 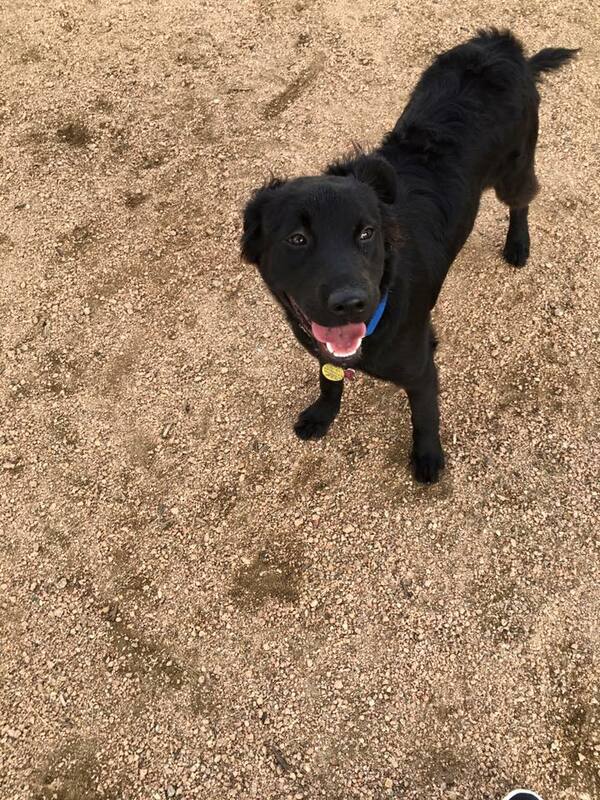 Well, he is now well and went to the dog park to enjoy the sunshine. 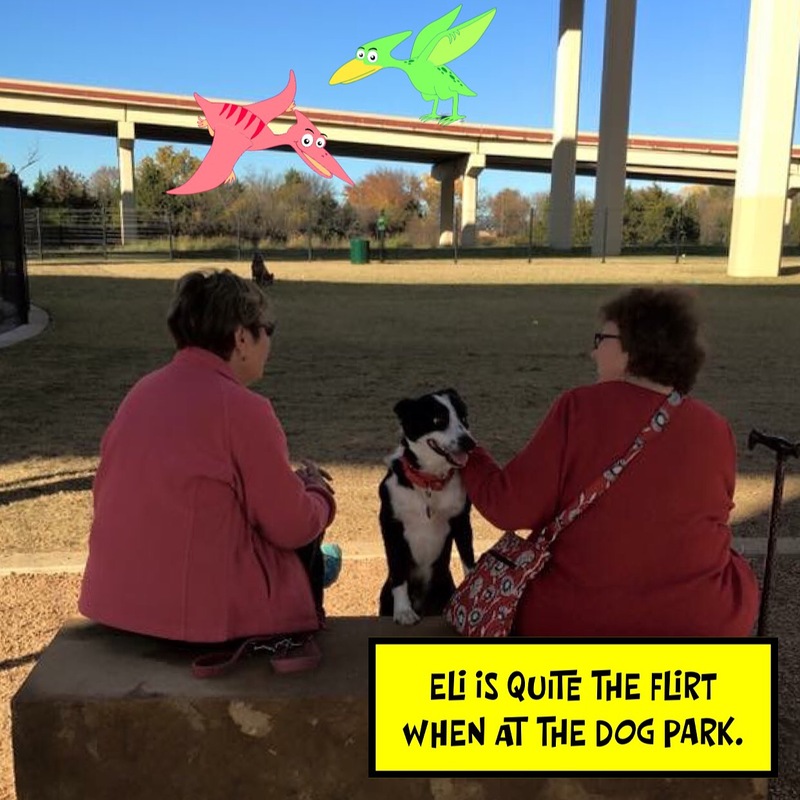 It is great to know that he loves to interact with other dogs and many different people. Makes him that much more adoptable! And who did Mattie, Eli and her Mama run into? That is TMHPR Alum, Jetta! 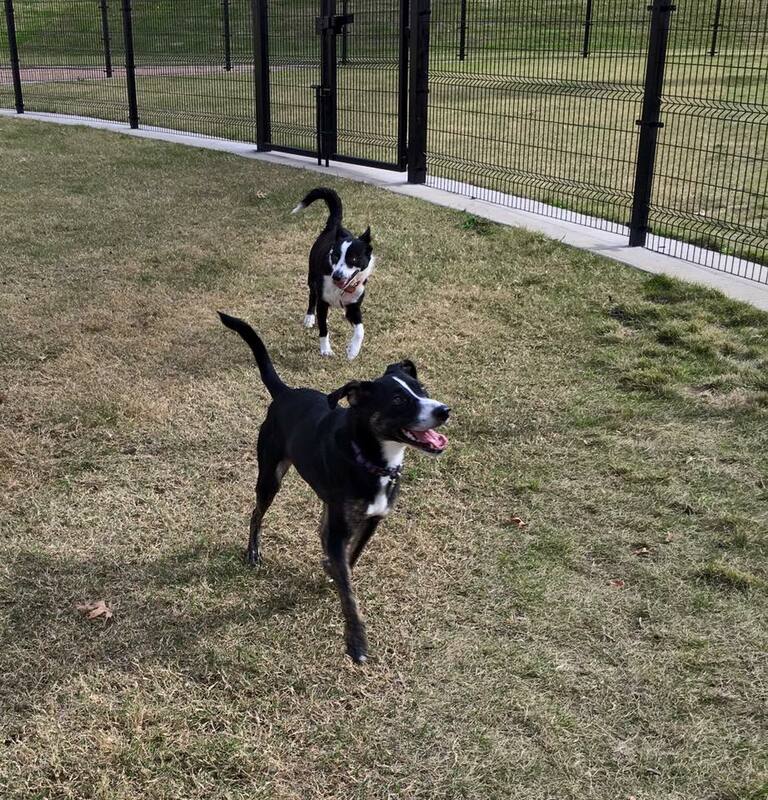 Eli & Mattie had such a good time with Jetta as well. Flynn has left the Adoption Center! Sweet boy has entered his Foster-to-Adopt home. and they have the intention of adopting. This sweet boy was abused in his former life . . . .
NEVER AGAIN sweet Flynn . . . NEVER AGAIN. 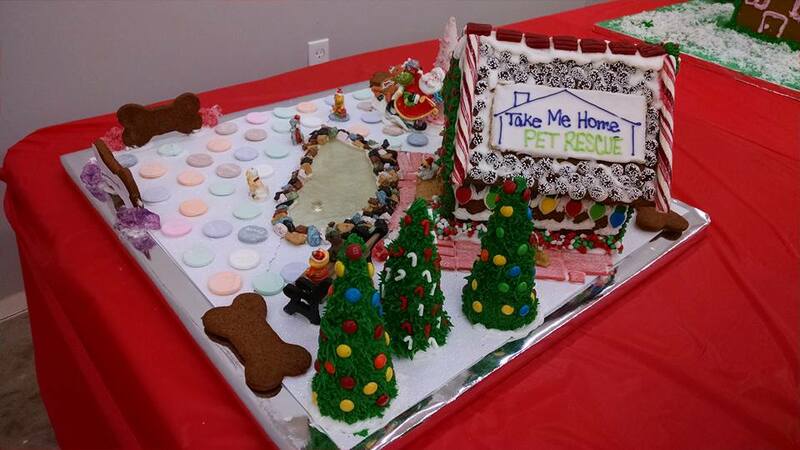 Our Volunteers are always finding ways to use their talents to promote the rescue. but she has built a TMHPR gingerbread house for show. The house is currently on display and in a competition at the Richardson Mercantile. Stop in to see the fabulous work! Thank you Cathey, for using your gifts to further our cause! Are you on Instagram? Are you Following us? Here are some of the silly posts we have put out this week. We love showing the silly side of our pups and our warped sense of humor. I mean you never know when dinosaurs will be at the Richardson Dog Park! And we will leave you with this nugget of sweetness . 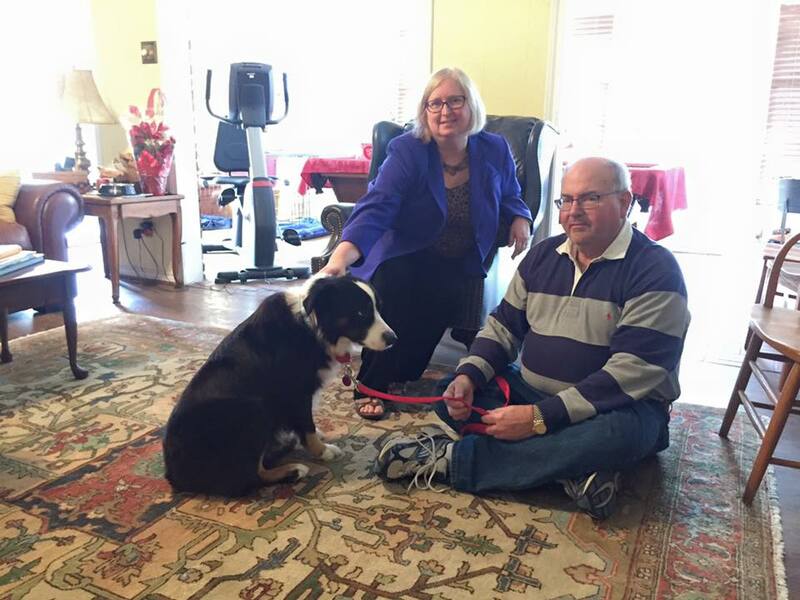 . .
Update from Mick’s Forever Mom. 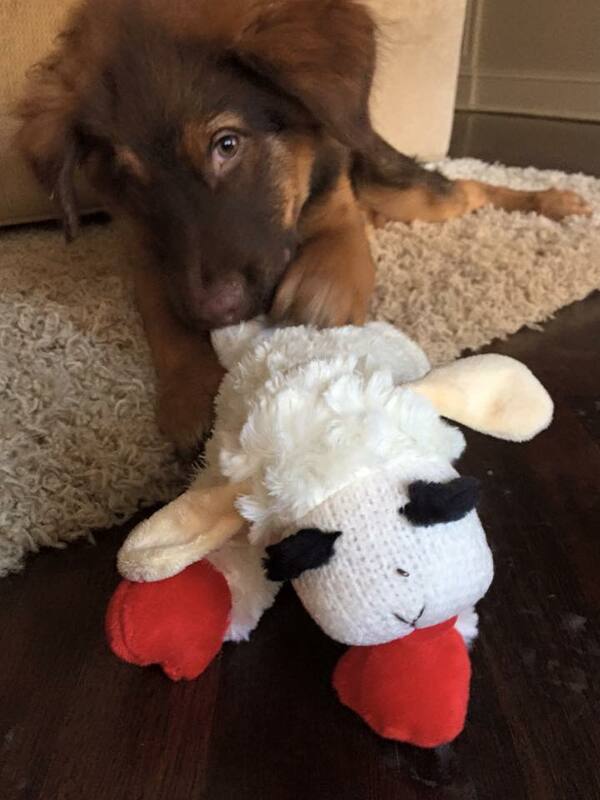 Mick and his friend, Lambchop. Mick was one of the Rock ‘n’ Roll babies who were born to Princess Penny. All babies and Mama Penny have FABULOUS Forever Homes. Makes all the work we do so very worth it!